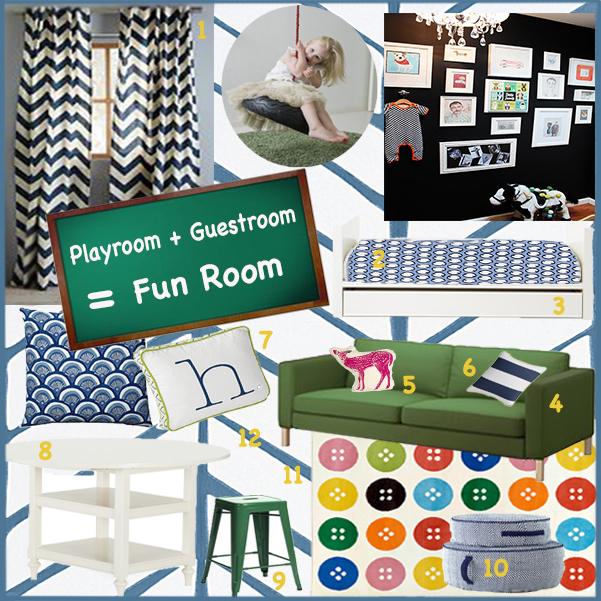 Hey guys, it's me, that girl katie, I gladly offered to help a friend with her Playroom/Guestroom space. I came up with a bold and playful design that is both practical and affordable. It is a style that won't become outdated as their young kids grow and can sleep a large visiting family or host future slumber parties. It is a room that has fun written all over it.